Golden Monkey is a master in its self, the cookie texture and influence enhance this strain, the condensed sticky buds are covered in a white amber cloud. 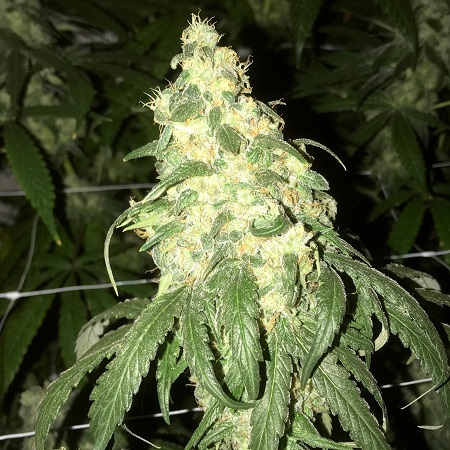 Golden Monkey Regular Marijuana Seeds by Pot Valley Seeds: Golden Monkey is a master in its self, the cookie texture and influence enhance this strain, the condensed sticky buds are covered in a white amber cloud. The Golden Monkey strain offers a higher than average yield, there is a good balance and great structure to this strain, it denotes real cookie taste and smell with a dank skunky edge. Emotional well-being accompanies a relaxation making you fill comfortable and content. Best enjoyed alone in quite surroundings or with an intimate group of good friends.